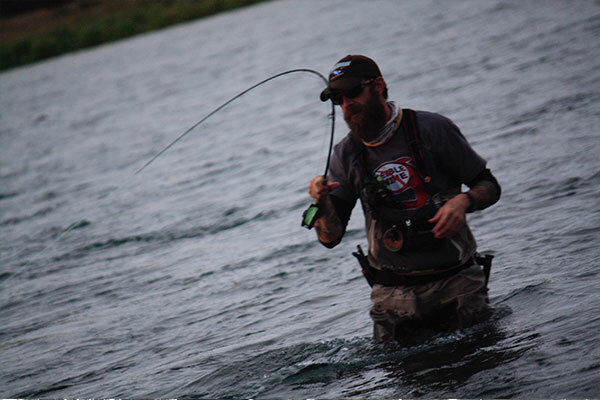 Born and raised in Colorado, Curt Schaumburg has been chasing trout here all his life. 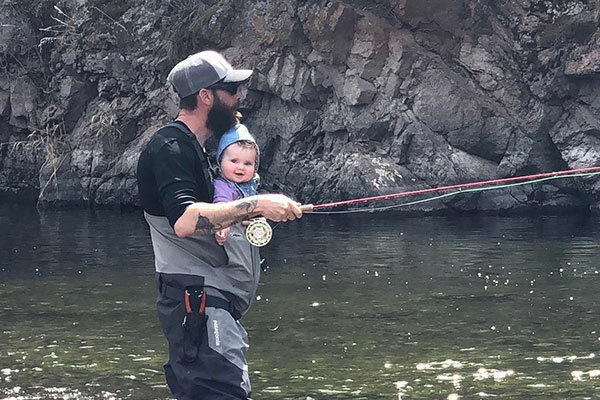 He has been guiding Colorado waters full time for the past 12yrs. and has spent the last 6 summers in Alaska guiding for monster Rainbows and Salmon at a fly out lodge located in the Bristol Bay. 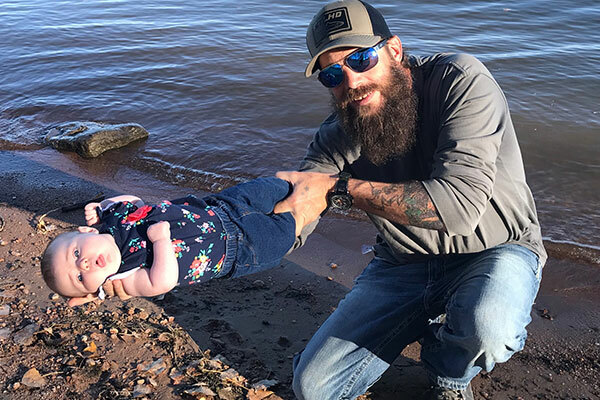 When not on the water guiding he can be found teaching fly tying classes, Stream entomology, casting clinics(certified casting instructor), and most importantly….raising his baby daughter to love and respect nature as much as he does…well, that and to one day row him down the river! 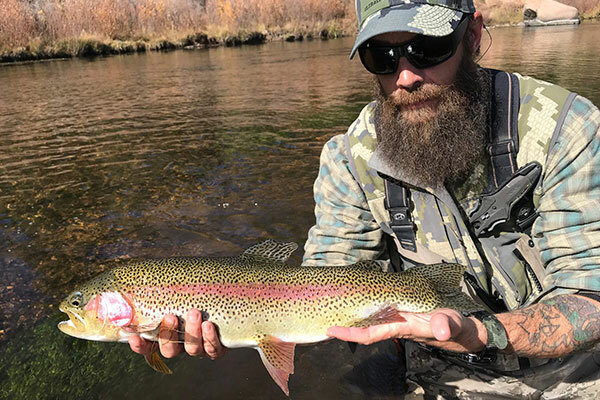 Curt is a very knowledgeable, patient and humble guide who works really well with teaching kids the joy of fly fishing and has worked closely with programs like Wounded Warriors teaching vets and people with handicaps to catch fish on a fly rod. You can see and read more about Curt and his guiding adventures on Instagram or Facebook under “The Bearded Fly”. Favorite Water: The South Platte drainage, especially some of the private ranches on the North Fork, they are simply amazing!